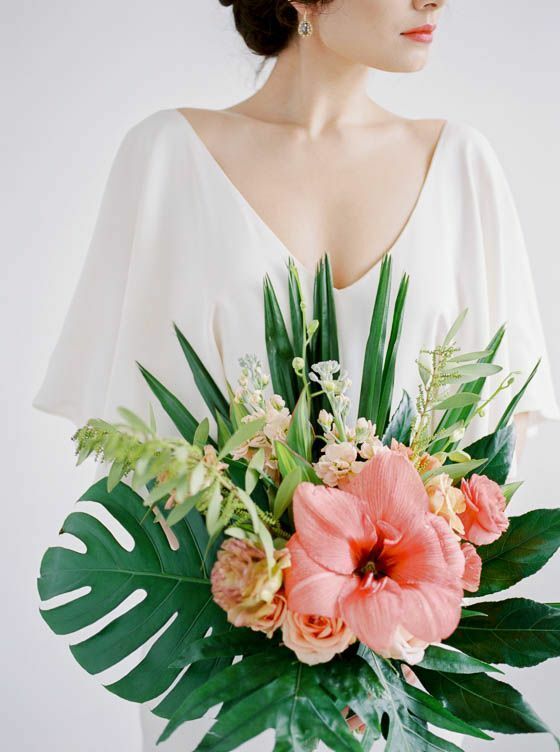 With the new year comes new trends, new ideas and a new Pantone Color of the Year, which means new wedding inspiration! And this year's color is Living Coral. 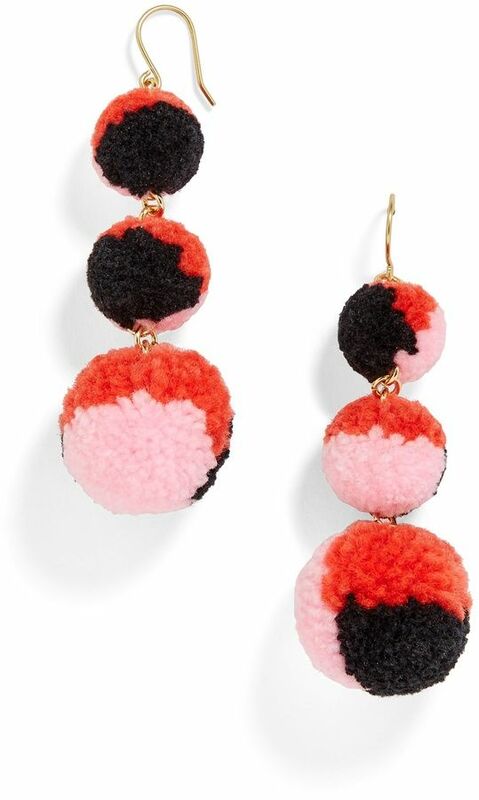 According to Pantone’s website, Living Coral is a vibrant, yet mellow hue that embraces us with warmth. They also mention this shade is a “reaction to the onslaught of digital technology and social media increasingly embedding into daily life." This is so aligned with what we see in the modern wedding scene everyday, where brides find their wedding vendors on social media, Facetiming in relatives while wedding dress shopping, and the use of wedding hashtags. 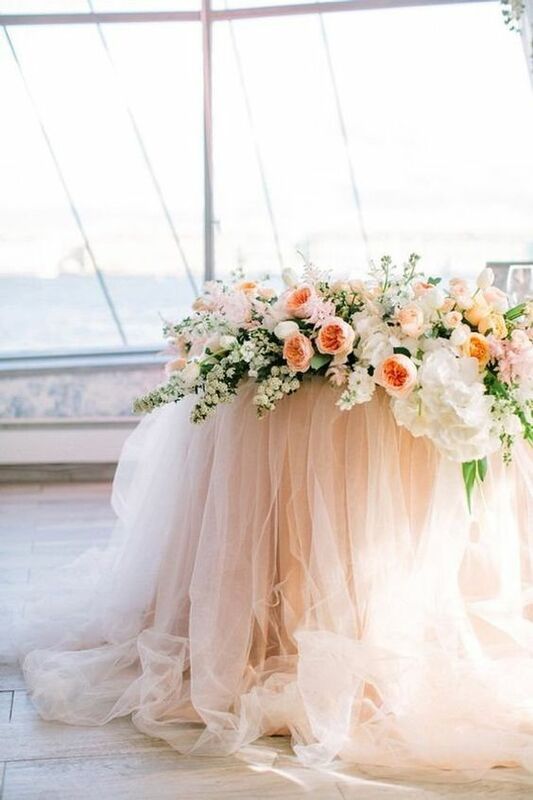 Choosing wedding colors comes down to your personal style, which will coordinating with your selected theme. 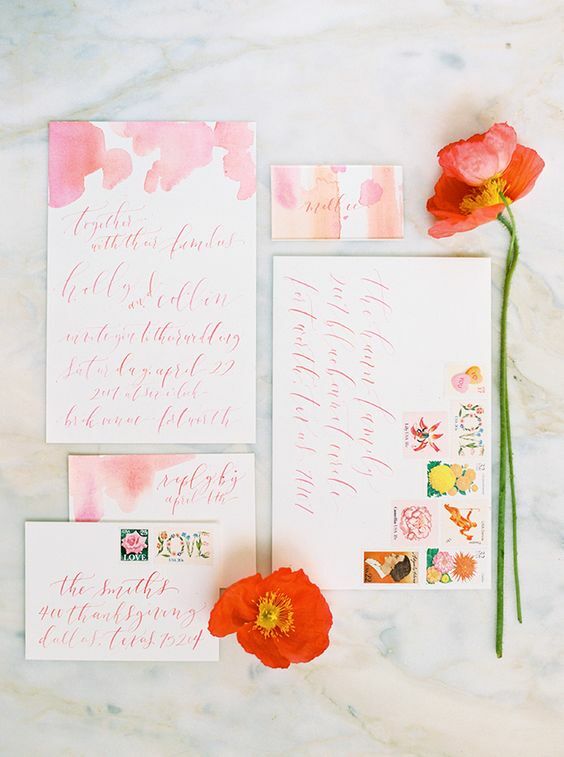 As you keep scrolling, watch how Pantone’s Living Coral morphs to each wedding day vibe. We can’t wait to see how you use this inspo to make your day uniquely yours in 2019. The intensity of Living Coral softens when paired with lighter hues from the same family for a timeless romantic look. This monochromatic wedding theme creates a dreamy look, while still adding a pop of color! If it’s still feels too loud, try muting it down even further with more whites and metallics, either way your day will look like a modern-day fairytale. Living Coral was born for the bohemian tropical theme, with it's warm undertone and organic, energizing quality. Look how it just pops against the complementary jungle greens. Plus, pairing it with palms and ferns is a much welcomed update from the eucalyptus greenery trend. This wedding theme is full of unexpected texture, unifying details, and lots of natural elements. 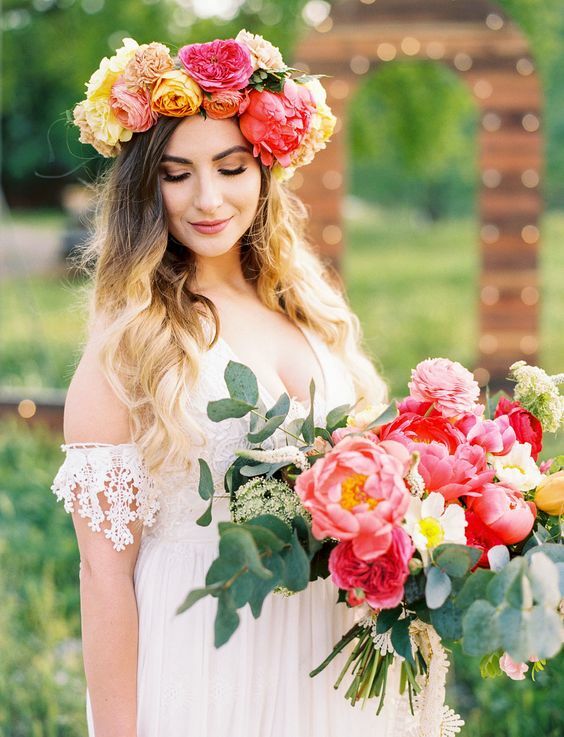 Retro Eclectic would make the perfect wedding theme for the bride that's super into thrifting or honestly, just can't get enough of all the vintage details! Paired with other rich, vibrant shades, Living Coral isn’t as front and center in this color scheme. 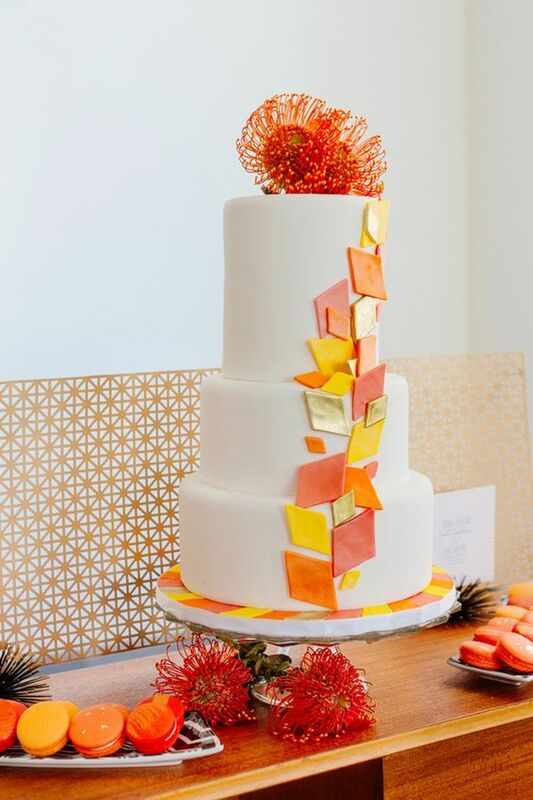 These quirky hues and unique, found objects will add an extra level of your personal touch to you and your fiancé special day. When paired with shades of red, orange and yellow, Living Coral is creates a modern bold aesthetic. Together these energetic colors really make a statement, setting the day up for a lively atmosphere. And we love any wedding theme that works in your favor to create the vibe you want. Bridal shows are one of the BEST ways to save money 💸 while wedding planning! Wedding vendors are all bringing out their best discounts and add ons to help themselves stand out from the crowd. Which means discounts for you! 🙌 Plus, bridal shows bring so many vendors together in one place, so you will save time ⏳ tracking down each aspect of your wedding. 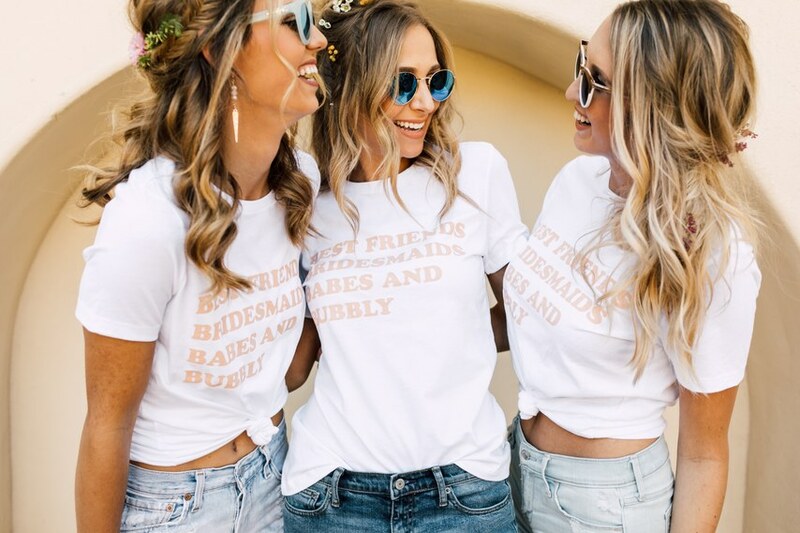 If this is your first time attending a bridal show, these tips will make sure you are prepared to lock in amazing deals, stay organized and most importantly have the most fun ever! 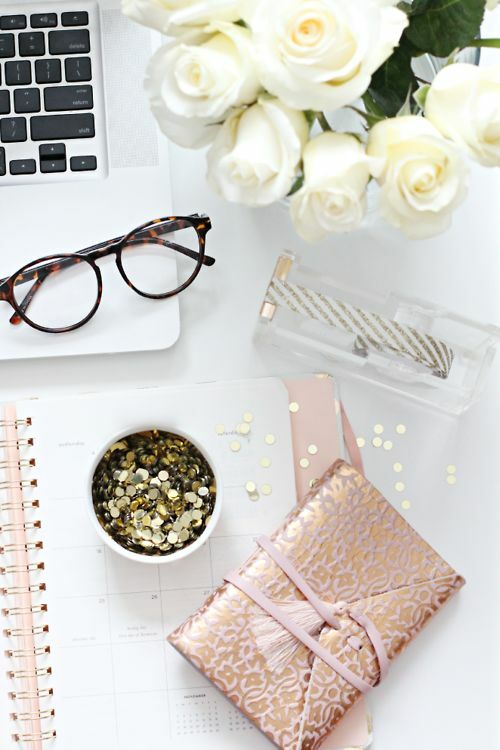 So here's to kicking wedding planning stress goodbye and planning your big day like a pro!! 👰👯‍♀️Scroll to the bottom, if you want details on which shows we will be at. We’re the ones with the blue veils! Create an email address 💻 that is easy to remember and reflective of your wedding day like: jackandjill2019@gmail.com or jackandjillwedding@gmail.com. 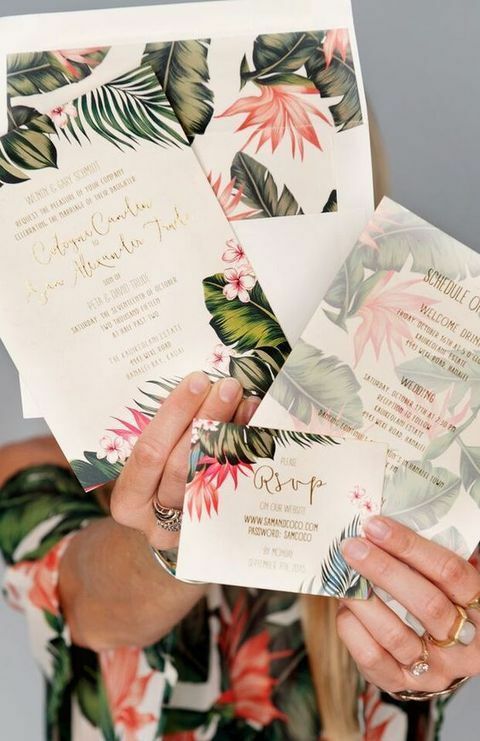 You can use this address to give to wedding vendors, as an eco-friendly RSVP option, or to keep in touch with your wedding guests without having your personal email bombarded. There are so many free email options out there, but at Brilliant Bridal we choose to run everything on Gmail. It easily allows you to set up folders that you can use to organize your vendors. Bridal shows are an amazing opportunity to meet with a high quantity of wedding vendors in a short amount of time. So it's pretty likely that you'll meet a handful that you will want to remember to reach back out to. Before heading to the show, take a look at your calendar 🗓 to get a feel for which days or weeks you're available to schedule appointments. 📖 Many vendors (us included!) will offer a discount on their services, if you book and keep an appointment, so coming prepared to schedule appointments could end up saving you hundreds of dollars if not more! The bridal show will likely give you a bag at the start the show to keep all the fliers you’ll get. Bring a second bag, so you can make one bag your “good bag” 👍 for vendors you liked talking with and want to reach back out to. Then, you can use the other bag to create a “bad bag” 👎 to toss fliers you aren’t as interested in. This will help you keep your sanity when you’re back home after the show trying to remember which person you talked to worked where. This is going to sound a lot like the advice you'd get from your mother the day before taking a big test, but don't tune us out, if you want to be on top of your game! (Not that you would ever tune your mom out. 😉) 1. Get some good sleep the night before. 2. Eat breakfast & drink plenty of water (plus bring snacks). 3. Wear comfortable shoes! It's amazing how being tired and hangry with sore feet affects your mood. 4. Arrive earlier than you think necessary, since parking can be time consuming. 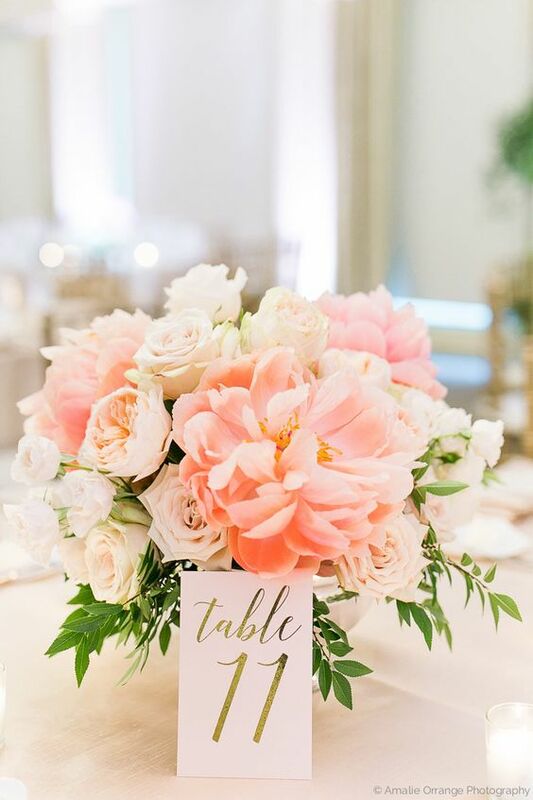 Aside from that, plan to have the best day, meet some incredible wedding pros, taste all the samples and make a huge dent in your wedding planning checklist! We can’t wait to meet you!! 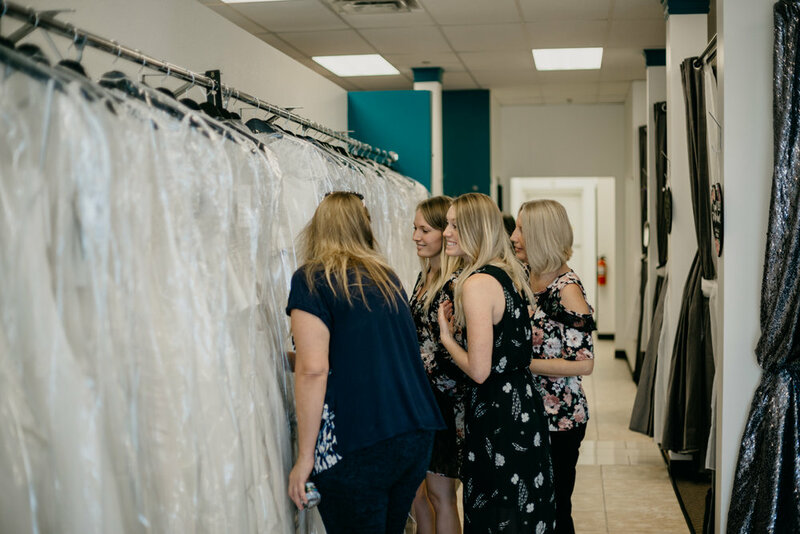 If you’re imagining an intimate boutique shopping experience, our Phoenix location is just what you’re looking for, with 6 private dressing rooms and 6 separate viewing areas. We cannot wait to start shopping with you and your group! 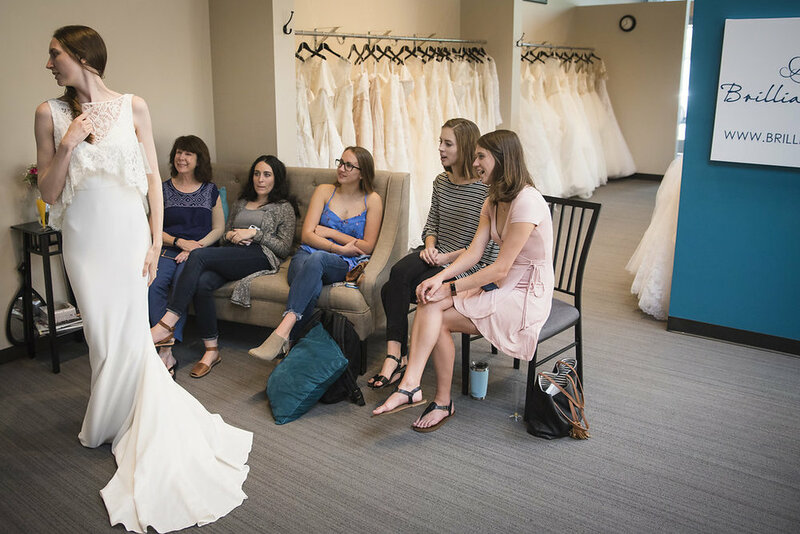 Brilliant Bridal Phoenix is our second Phoenix area location. We opened our doors to the Northwest Phoenix area in December 2013, and shortly outgrew our first space and moved to our current location in 2016. We always have ..
Our Phoenix bridal shop, consistently has over 300 unique bridal gowns in stock. We carry bridal dresses from all of the designers you know and love at prices that are always 30% to 80% off retail. And since all our gowns are sold off-the-rack there is no long ordering period; you can take your dress home with you the same day! Plus, our "Last Chance" clearance section is full of dozens of bridal gowns starting as low as $95 and all under $350! 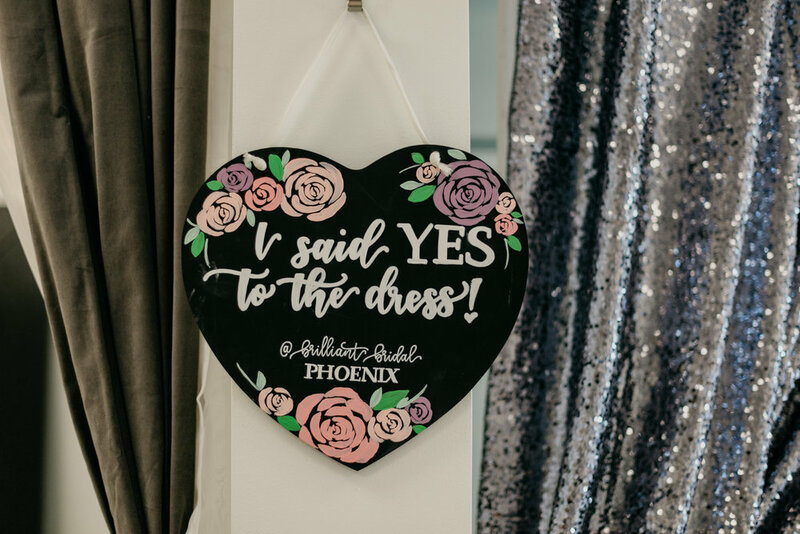 You can find our Phoenix bridal boutique at the cross streets of Union Hills Drive & 7th Avenue, located just one mile south of the loop 101 and two miles east of the I-17. 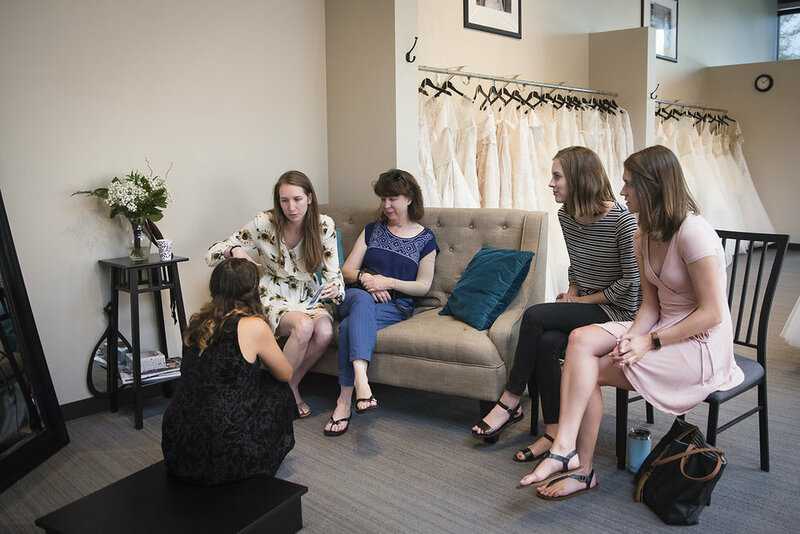 This is the most convenient Brilliant Bridal location for brides traveling in from Flagstaff, Sedona, and other Northern Arizona communities. Thank your to Samantha Patri for these lovely images of our shop! Our Brilliant Bride Kelsey tied the knot with her groom Marcelo during a backyard ceremony at her childhood home in El Paso. Their Texas wedding was full of friends & family, string lights, pops of rust & yellow, and lots of love! 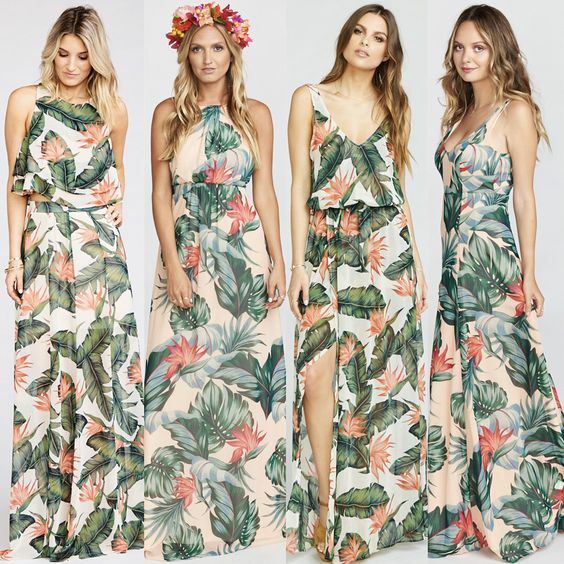 The perfect blend of boho chic and modern romantic. 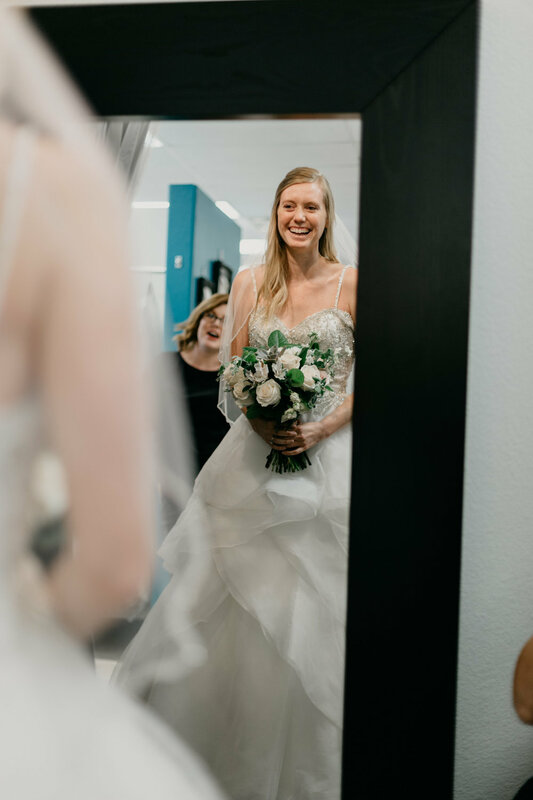 Kelsey said yes to the dress at our Brilliant Bridal Denver location during our $95 Dress Sale. She looked radiant in her strapless, taffeta gown by Dessy Bridal, accessorized with a dainty necklace, flowers in her hair, and a deep red lip. 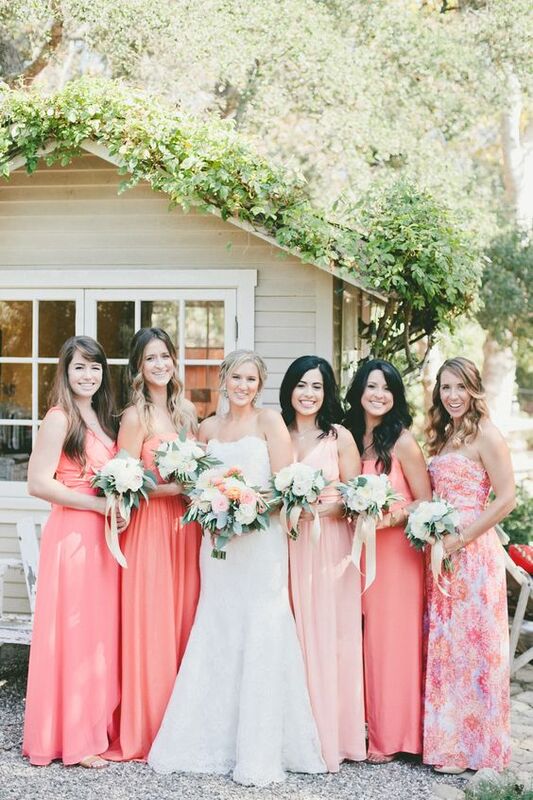 And we are obsessed with her bridesmaids dresses!! Keep scrolling for our favorite photos from Kelsey + Chello’s Texas wedding courtesy of Veronica Cook Photography. Bet you can’t not smile at these two. You can just tell how in love they are!